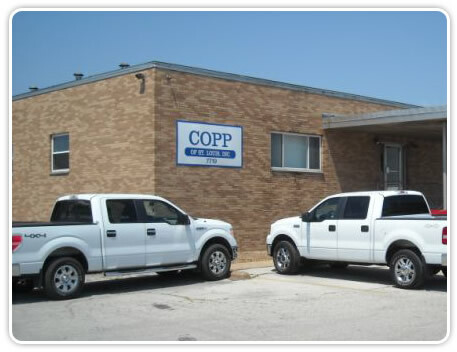 Copp of St. Louis Inc. was established in 1989 as an Intermodal, Truckload and LTL Trucking company. Over the years we have been awarded the opportunity to operate as a Container Freight Station as well as a Centralized Exam Station for U.S. Customs and Border Protection. We currently reside just minutes from Downtown St. Louis Mo. in a 24000 square foot terminal which includes an 18000 square foot , 49 door dock on 7 secure acres. Please take a few minutes to look over our services. Our highly trained and professional team of Drivers, Warehouse Crew and Office Staff would welcome the opportunity to work with you on any project of which we can be of assistance.